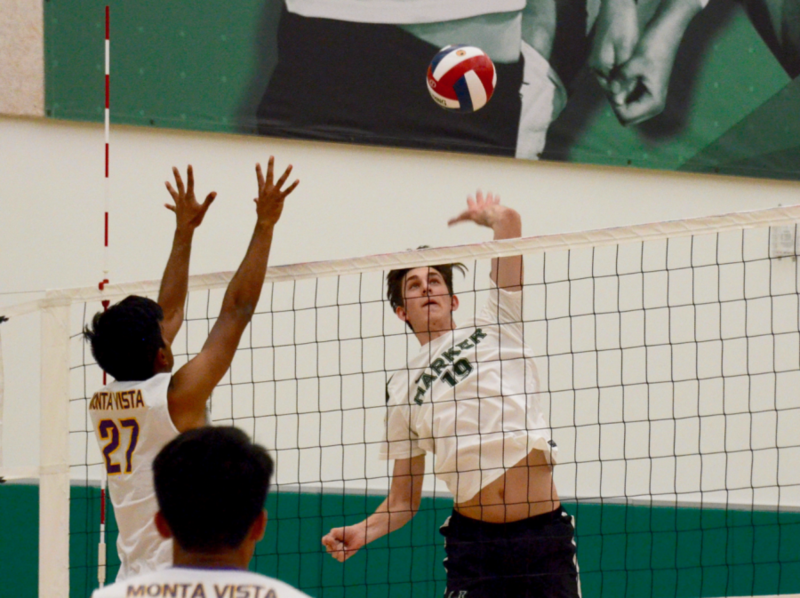 Senior Jared Anderson jumps to hit the ball during the varsity volleyball team’s game against rival Monta Vista High School on Friday. 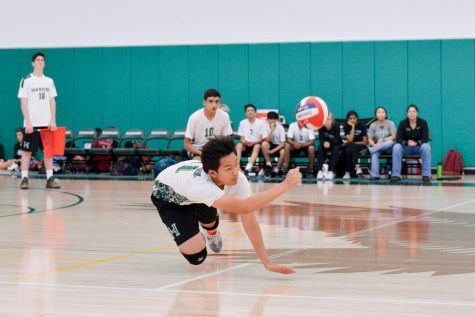 In one of the toughest games of the season, the varsity boys volleyball team, ranked 7th in the nation, lost to the 4th ranking school, Monta Vista, in a head-to-head match in 5 matches last Friday, the respective scores being 25-19, 22-25, 21-25, 25-20 and 12-15. 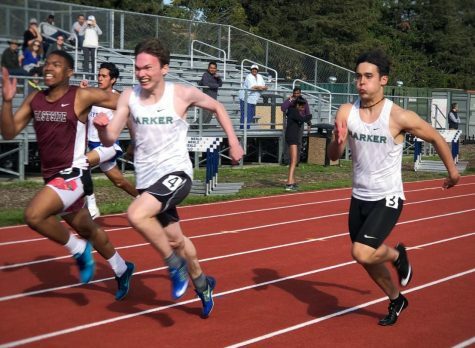 Somewhat considered to be Harker’s rival, Head Coach Chad Gordon describes Monta Vista as “the ones who we could never beat last year.” This loss brings their overall record to 8-1. 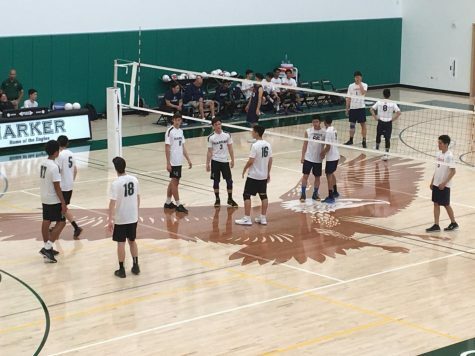 The Eagles started strong, sweeping the first set with a 25-19 victory with help from several aces by Brian Pinkston (10) and Charlie Molin (12). 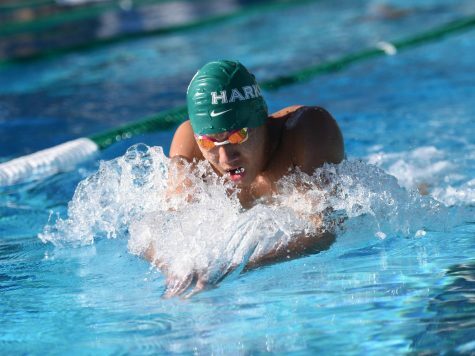 They lost the coming sets in a grueling back and forth match which could have gone to either side. The whole way, the divide between the scores never drifted outside of a difference of 3 or 4 points. 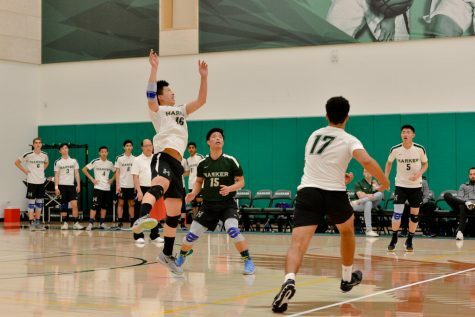 The team gained momentum during the 4th set, each increasing cheer from the crowd fueling the players until even the strategically called time-outs by Monta Vista couldn’t break their momentum. Strong blocks from Billy Fan (10) and Jarrett Anderson (12) also aided in their 4th set victory. 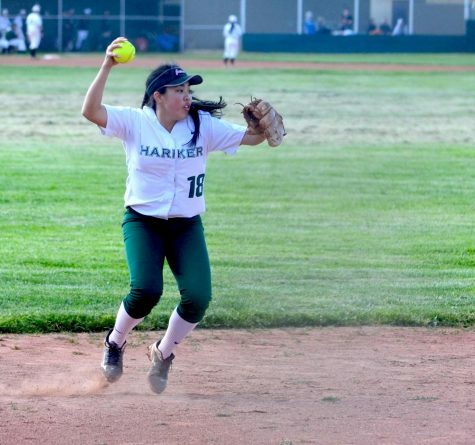 Eventually, however, their fatigue began to catch up to them and Monta Vista pulled ahead to achieve an extremely close 12-15 victory over the Eagles in closest that Harker has ever gotten to defeating its rival. “I think we could have had a little better stamina. I think we kind of ran out of energy a little bit at the end, but I was pretty happy with our effort,” setter and team captain Charlie said. 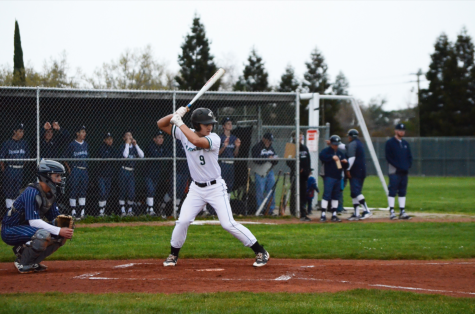 Even so, throughout the game, the Eagles displayed the incredible prowess and teamwork that earned them the well-deserved title of 7th in the nation, a massive upgrade from last year’s rank of 36th. Outside hitter Jarrett Anderson consistently powered through blocks by the other team, dazzling the crowd with his offensive power. 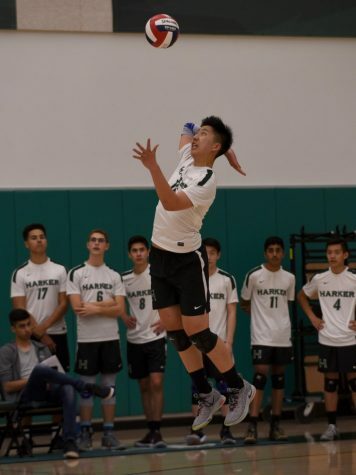 Co-captain Jeffrey Kwan (11) consistently came through defensively throughout the entirety of the game, diving to the floor with amazing last minute saves that bought the team back many lost points. “Hopefully we’ll see Monta Vista again in the finals, and we’ll see if we can correct some errors,” Gordon said. 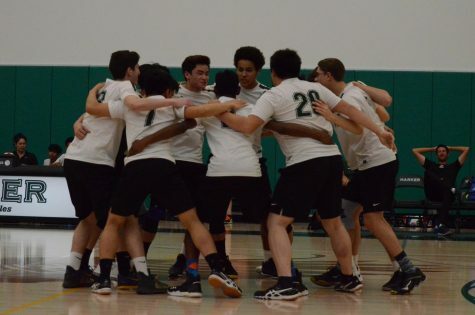 The boys played again Saturday at the Monta Vista campus for the Monta Vista Volleyball Tournament, making it to the finals before losing 2-0 to Monta Vista once again. 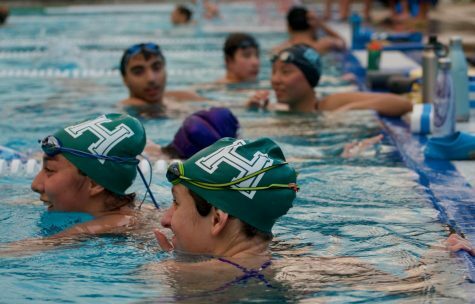 They will face Monta Vista once more at CCS, which the team is expected to qualify for.